Jordan Lifestyle Tech Men's, Carbon Heather, Size S, 18864665. 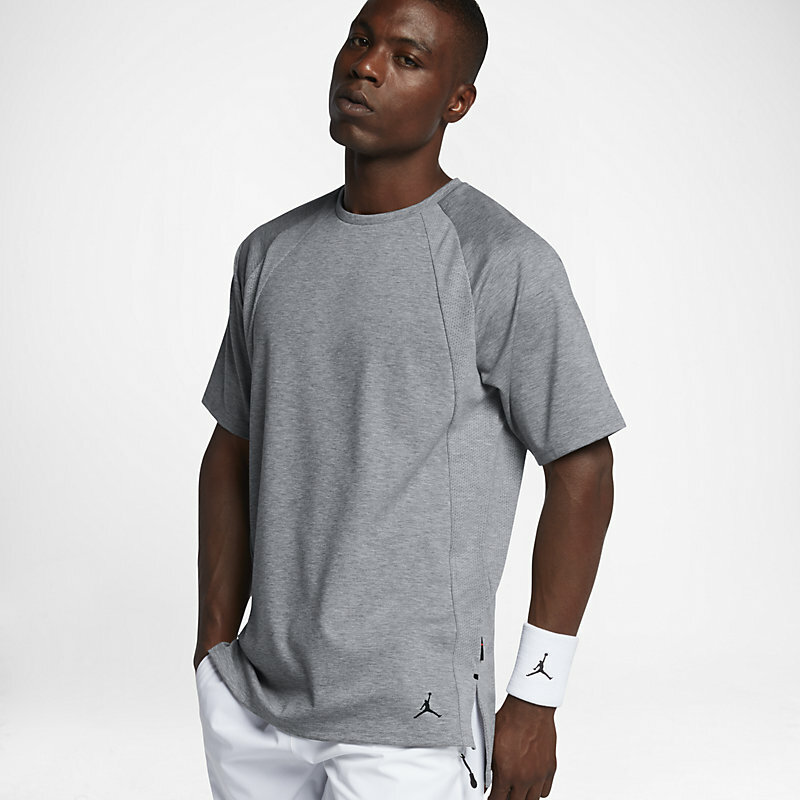 Everyday comfort: Featuring details inspired by the 1985 Air Jordan Muscle Jacket, the Jordan Lifestyle Tech Men's Short-Sleeve Top is designed to keep you comfortable and let you move freely throughout your day., Smooth feel: No-fray knit jersey fabric feels smooth against your skin, and mesh at the sides helps keep you cool., Move freely: Split hem prevents the top from bunching so you can move freely and comfortably., More details : Elongated back hem helps keep you covered, Fabric: Body: 72% polyester 23% rayon 5% elastane. Panels: 65% polyester 35% rayon., Machine wash, Imported: .